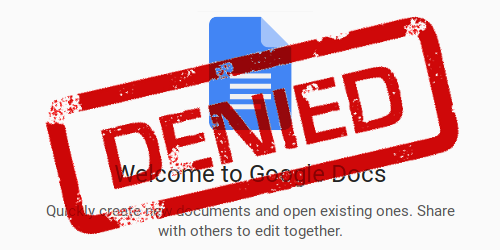 A few days ago, Google Docs locked out many users from their documents, claiming they violated their Terms of Service, despite being innocuous. Here is why this will continue to happen what you can do to not run into this problem yourself. second, they save by not providing any direct end-user customer support. While Google through has an intimate knowledge of you — probably better than yourself, and for sure, better than your spouse —, they do not trust you. They don’t trust you, because they simply can’t afford to. You might use Google cloud services for criminal activities, and then, a small misjudgment on their side about your qualities will be very costly for them: It will force them to spend uncountable hours of their expensive engineers, lawyers, and public relations personnel just for dealing with the problem you caused them. As the not-so-old adage goes, the cloud is only someone else’s computer. If this someone allows everyone to access their computers „for free“, they need to cover their rear, because there is no trust relationship. So what we need is not a cloud you can trust, but a cloud which trusts you. This is bet achieved through some form of relationship: A friend, family members, a neighbor, a long-term business relationship, … Because if you have something to lose when misbehaving, everyone wins. Therefore, let’s build a cloud on these principles. Find someone who trusts you and who can store files for you and enable your communications means. It’s best if he/she also knows their ins and outs in computers and security. Have them install a cloud storage software, e.g. Nextcloud,Nextcloud is not only cloud storage, it also allows you to edit documents online, or store and share calendars, contacts, GPS tracks, SMS, and much more! possibly on a small box in their or your basement. Enjoy that you are no longer dependent on whims of a cloud provider! Both Nextcloud and XMPP employ one of the best features for services: They not only work locally, they also gladly federate. I.e., like in email, where everyone can operate their mail domain, and yet it is still possible — even natural — to send email between domains, so is Nextcloud ready to share files between different servers naturally and XMPP allows you to chat between any domain. What else could you wish for? Welcome to the brave new world of federated services. You too can be part of it and be proud that you own the data and you are in control. 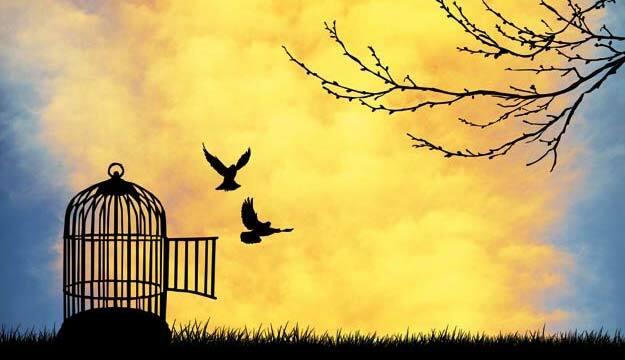 Enjoy the freedom! 1. ↑ Nextcloud is not only cloud storage, it also allows you to edit documents online, or store and share calendars, contacts, GPS tracks, SMS, and much more!